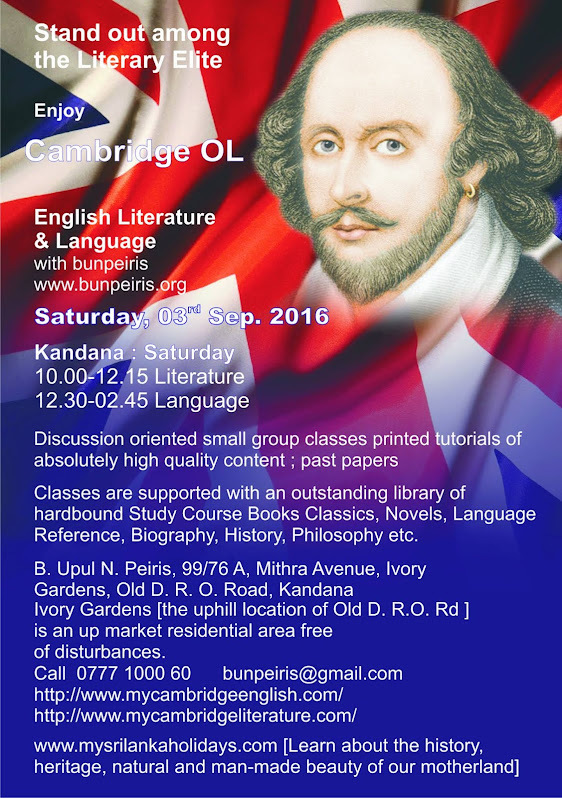 Private Tuition in ENGLISH Literature, Language Cambridge IGCSE, OL, Edexcel & National OL Targeting “A” Grade, at Kandana Saturdays and Sundays small groups by an Int’l School Master. Printed tutorials of absolutely high quality content and past papers. Classes are supported with an outstanding library of high quality, hard bound[hbk] study course books, literature course books, classics, language reference, fiction, biography, history etc. Shakespeare is for all cosmos, for all times: above image is of 2013 Hollywood movie adaptation of Shakespeare's Romeo & Juliet starring Douglas Booth & Hailee Steinfeld; below [Home Page Slide Show] images are of 2013 Bollywood movie adaptation titled Ramleela starring Ranveer Singh and Deepika Padukone. www.mysrilankaholidays.com I am bunpeiris: I take liberty to present you a glimpse of the beauty and glory of my Sri Lanka, Our Island that I have toured all over for a decade since I was just eight years old with my maternal grandfather, Ayurvedic Dr. Prangige Silmon Peter Peiris Gunaratne of Lakshapatiya, Moratuwa & Ratmalana. Are you a voracious reader of works of literature? Do you have a "Sense of English Language" coupled with a "Bent on Literarture"? Would you love to become a teacher of literature? Would you love to engage your learners in discussions instead of one man show lectures and make your small group classes roaring with laughter? Would you love to teach literature by engaging the learners to connect the work of literature at hand with real life situation, other works of literature, history and religion thereby inspiring and enlightening them all? Then why don't you study B. A. in English at Univeristy of London? But there is no course provider in Sri Lanka. You may directly, no intermediary at all, make payment to University of London, London, UK by Credit card/Wire transfer/Bank draft and study on-line with substantial group tutor assistance, VLE- Virtual Learning Environment (online forum for discussions) and most of all, on your own. You will be lonely. But then who knows, we can set up a club. Your exams will be held strictly at British Council, Colombo in May and you may go step by step: Certificate, then Diploma then onto the B.A in English. In terms of syllabus there is no difference between in-house University of London B. A. in English & University of London External. You get a fully fledged, top of the flight B. A. Degree in English from a top ranking university in England. 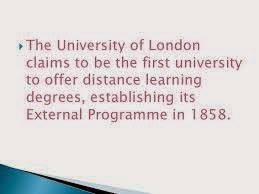 Univeristy of London isn't any other university. It is University of London. 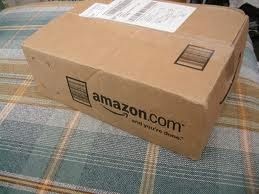 Since the prescribed books aren't available in Sri Lanka you may have to import them from UK or USA. Or else perhaps, I, bunpeiris could be of help. The BA in English consists of twelve courses. Choose four courses from level 4, four from level 5 and four from level 6. The Dip HE in English consists of eight courses. Choose four courses from level 4 and four from level 5. The Cert HE in English consists of four courses from level 4. 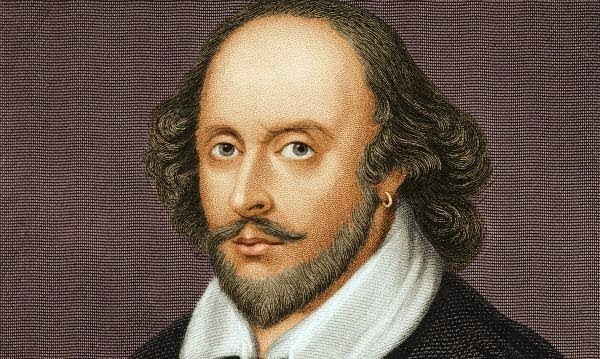 In the British education system, the 1990 National Curriculum in English lists Shakespeare as the only author that all British schoolchildren, over the age of 13, must study (Curtis, 2008). Universities are turning out highly skilled barbarians because we don’t provide a framework of values to young people, who more and more are searching for it. "Shahrazad (Scheherazade) had perused the books, annals and legends of preceding Kings, and the stories, examples and instances of by gone men and things; indeed it was said that she had collected a thousand books of histories relating to antique races and departed rulers. She had perused the works of the poets and knew them by heart; she had studied philosophy and the sciences, arts and accomplishments; and she was pleasant and polite, wise and witty, well read and well bred." In The Thousand and One Arabian Nights, written in Persia between the 9th and 13th centuries,Adam's Peak Sri Pada of Serendib (Sri Lanka) is one of the strange places that Sinbad visited. 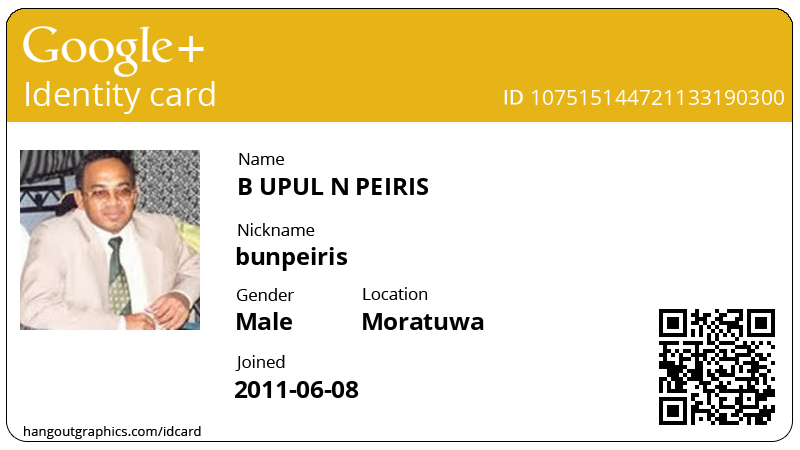 Share book reviews and ratings with B. UPUL N. PEIRIS, and even join a book club on Goodreads.